98 backers pledged $9,175 to help bring this project to life. Hey ZingBox fans! I've got some exciting news to share as we go into the last days of the project. I've found a new supplier for the ZingBox solar panels. We'll be getting custom panels that are more powerful and more durable! Awesome! THE ZINGBOX: HOW COOL IS THIS?! The ZingBox is a boom box powered by the SUN! How cool is that? You want to keep the music hopping, but you'll be outside? for the whole day? or the whole week? Meet the ZingBox. The ZingBox is a HiFi sound system optimized for outdoor use. The ported and tuned speaker-cabinet style construction and super-efficient speakers mean that the sound is loud and accurate with deep bass. It plays music from any phone, iPod, or MP3 player with a headphone jack at volumes up to 106dB. How loud is that? As loud as a nearby car horn or chainsaw. Loud enough that your neighbors will be in on the party, too. The ZingBox is old school meets new tech. Charge it from the sun on a nice day or from the wall if you have to, but the ZingBox can play for up to 8 hours or more on a fully charged battery alone. You can use the 12V car-style socket to top up your gadgets with a car charger too. I'm planning a limited run of up to 25 signed and numbered ZingBox solar powered boom boxes, produced by me out of Artisan's Asylum, a maker space in Somerville, MA. Funds from this campaign will go to parts and tools used to produce the ZingBox. There are 24 ZingBox solar powered boom boxes available through the rewards. If all those rewards get claimed, I'll release ZingBox #25 which comes with a special 2 hour off-the-grid, outdoor karaoke party in the Boston area. The ZingBox is a solar powered boom box, designed with a focus on audio quality and high sound output in a system with low power demands. Jam in 80's style with your music from your device. No need for tuning a dial, flipping over or rewinding mix tapes, or having to replace all those D-cell batteries. The ZingBox is not some wimpy iPod dock. It measures 20" wide x 13" tall x 10.5" deep. The 8 hour battery life and bass reproduction come from a serious battery, and efficient speakers with big permanent magnets, assembled in a very solid enclosure. Designed to rock the whole block, the ZingBox is no lightweight, coming in at about 30lbs like a proper old school boom box. Message me or check back for project updates on upcoming events if you're in the Boston area and want to hear the ZingBox live. It's even better in person. Each boom box in this production run will be numbered and signed on a label inside the right speaker, visible by looking through the acoustic port. This is your chance to be one of the few to own a limited production ZingBox. Also included, but not inside of the ZingBox, is the wall charging converter and cable. The standard 1/8" headphone jack input lets you play whatever audio source you like (mp3 player, iPhone, Android phone, Laptop, anything with a headphone connection). I've done the ported speaker enclosure design for the ZingBox to tune it for bass response down to 60Hz in a compact package. The ZingBox uses 95dB/W-m, high efficiency woofers (most speakers are rated around 88dB/W-m, some as low as 85dB/W-m), so the added efficiency is like free power. This 7dB/W-m to 10dB/W-m difference actually translates to 5x to 10x more efficiency in turning electricity to sound (since decibels are a logarithmic not a linear relationship). This means that the ZingBox can effectively charge its battery off the sun and play all day, all while the 2 x 15W amplifier puts out sound equivalent to what you'd expect from a 2 x 60W or even a 200W amp with an average set of speakers. Cranked up, the ZingBox will play at 106dB. We're keeping this simple and only offering ZingBox boom boxes, one accessory kit, T-shirts, and hats. Except for THE BOOM FOR THE HOLIDAYS, where you'll get the already completed prototype, boom boxes will be delivered in the spring. Hats and shirts can be sent by mid-December and make excellent placeholder holiday gifts to let someone know that their ZingBox is on the way. THE ZINGBOX itself is the big reward of the campaign. Pick when you want yours delivered (they'll all be sent out before the sunny summer months). Act fast if you live somewhere warm and want your ZingBox by March. 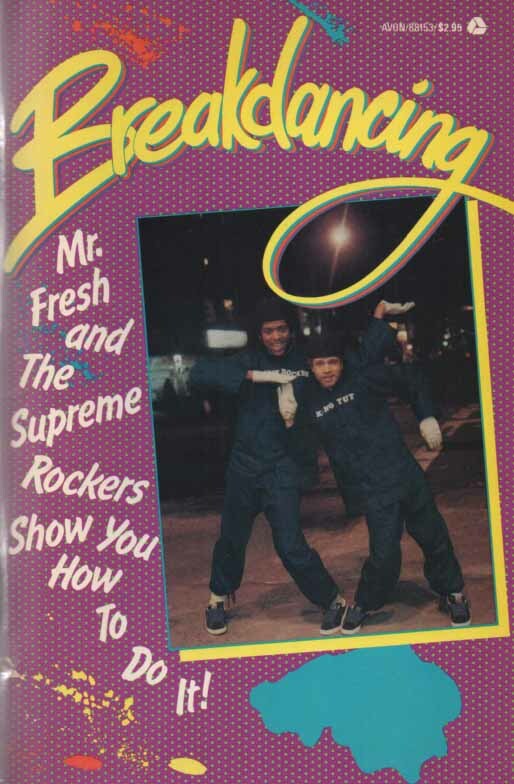 And step up if you're in need of THE INSTANT STREET CRED and all the goodies that come with it, including that vintage copy of 1984's Breakdancing: Mr. Fresh and the Supreme Rockers Show You How to Do It. I print the T-shirts myself in 3 colors at Artisan's Asylum. More pictures here: zingman.dk/screen-printed-zingbox-t-shirts/. 100% cotton. Available in adult unisex sizes: XS, S, M, L, XL, 2XL and Ladies fitted S, M, L, XL. THE BAG ON YOUR HEAD is a multicolor hat with zipper pocket and custom ZingBox logo. This "Cap-Sac" is great for runners since you can keep your ID or keys in the pocket and cars wouldn't dare to hit someone who looks that cool. Keep your stuff in the hat and you can do the worm without crushing it. Cap-Sac hat with custom logo! More hat pictures in Project Update #4! THE KARAOKE KIT let's you use the ZingBox as a PA system, sing along to music, or even plug in a small band's worth of gear (eg. microphone, electric guitar, bass, battery powered keyboard, etc). The mixer in the Karaoke kit is a mono source, as are most instruments. It is set up so the same signal plays through both the left and right channels. So there is a working ZingBox prototype, what's left to do? Complete a detailed CAD model and move to CNC routing all the panels for the ZingBox enclosure. This will be both faster and more precise than hand work. Work on screen printing or transfers for labeling the controls on the top panel of the ZingBox (so you know what the switches and plugs do when the ZingBox gets to you). Begin printing shirts, which I plan to do myself. Order the hats in time for holiday delivery. If all the ZingBox boom boxes sell, we'll have reached a volume where I'll look at getting custom solar panels manufactured. I have a quote for competitively priced solar panels that will give a 10% power boost from a slightly smaller panel that should look even better than the ones on the prototype, but minimum order quantities mean that I can only try to order if I make more than 20 ZingBox boom boxes. I'm Aron Zingman. I'm an MIT trained mechanical engineer and product designer with years of experience designing medical devices and consumer electronics for Johnson & Johnson, Motorola, and Continuum. I have seven issued patents in the medical device space including two sole inventor patents. My prototyping and manufacturing experience has helped me develop the skills needed to complete this project. I built the first version of my solar powered boom box in 2009 for fun, in my free time, while working full time as a design engineer. It was a two year long itch, inspired by sound systems I saw at the Roskilde Music Festival in Denmark in the summers of '07 and '08, that I finally took the time to scratch. Since '09, people have been telling me, "You should sell those!" Now I'm devoting myself to this project. Outside of the design and engineering world, I've worked as a Karaoke DJ, ridden motorcycles on four continents (plus central America), and I've studied and taught glass blowing. Thank you helping me make the ZingBox happen. The technology behind the ZingBox is solid. I built my first solar powered boom box in 2009 and it has been going strong ever since. This project builds on what I learned the first time with a smaller, lighter, and less expensive design based on a proven device. The ZingBox production team is just me, so the biggest risk comes from being a one man operation. That said, your pledge supports my efforts to build you a system that I'm proud to deliver to you as well as myself, my friends, and family. The ZingBox will require a lot of hand assembly and manufacturing so rewards are limited to quantities that will let me deliver on time. THE SHOUT-OUT: You'll get a shout-out on the ZingBox build blog and/or the @theZingBox twitters (whichever you prefer). If I see you in person, you'll also get a high five, very nice. THE BAG ON YOUR HEAD: Show your support with a sweet Cap-Sac, the "fanny pack for your head," complete with custom printed ZingBox logo. Includes shipping/delivery in the US by mid-December. Final colors TBD. THE KARAOKE KIT: This ZingBox accessory kit consists of a 12V mini mixer, a quality cardioid vocal microphone, and all the audio and power cables you need to run a mic and an audio source (mp3 player, smartphone, laptop, walkman, etc). The karaoke kit lets you sing along to music on the ZingBox, use the ZingBox as a PA, and MC your event. You can even plug in a 4 piece band. Karaoke kits will ship at the same time as your ZingBox (sold separately below). THE ZINGBOX, MARCH: Get one of the first ZingBox solar powered boom boxes to come off the line. A great option for those warm states with those early springs. Each ZingBox in this limited run is signed and numbered. Price includes shipping in the US. Please contact me for a quote if you want international delivery, since the ZingBox is serious audio equipment making it neither small nor light. THE ZINGBOX, APRIL: Get a ZingBox solar powered boom box from the second batch to be delivered. Each ZingBox in this limited run is signed and numbered. Price includes shipping in the US. Please contact me for a quote if you want international delivery, since the ZingBox is serious audio equipment making it neither small nor light. THE ZINGBOX, MAY: Get a ZingBox solar powered boom box in the last set of the limited edition run. Each ZingBox is signed and numbered. Includes shipping in the US. Please contact me for a quote if you want international delivery, since the ZingBox is serious audio equipment making it neither small nor light. THE BOOM FOR THE HOLIDAYS: Get the fully functional prototype ZingBox seen in the video. This is your chance to to have a ZingBox at home before Christmas or even the end of Thanksgivukkah. This ZingBox is signed and numbered #1 in the series. THE INSTANT STREET CRED: Get the ultimate ZingBox pack and pick up some instant street cred. You get the ZingBox solar powered boom box with old school and new school accessories like Run DMC style glasses and a big (fake) gold chain, the custom Cap-Sac hat, a ZingBox t-shirt, the karaoke kit (to let you MC, too), and a vintage copy of the book Breakdancing: Mr. Fresh and the Supreme Rockers Show You How to Do It! All this will be delivered in a cardboard box that you can lay down when you bust out your breakdancing moves. If claimed, this ZingBox will signed and numbered #2 in the series.